I loved making this card. 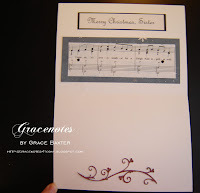 Be sure check out the inside picture for the surprise musical excerpt from the familiar Christmas song. Another beautiful card! 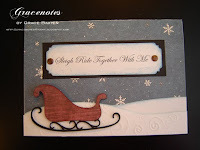 I really like the rolling hills and how you used the embossed paper.